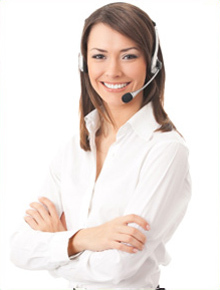 Hosted PBX: The better, simpler, more affordable business phone solution. 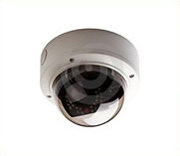 We are your comprehensive source for information on video security and IP surveillance. We are pleased to announce that Black Cloud Networks has been acquired by Utility Telecom. Black Cloud clients will continue to receive the same outstanding service and support that they have been accustomed to, backed by Utility Telecom's industry-leading support team. This merger combines the strengths of two leaders in the Central Valley's telecom and business broadband market to bring even better offerings to our clients. A business VoIP or IP telephone system from Black Cloud Networks, located in Stockton, CA, enables small and medium-sized businesses to compete effectively in this tough economy. We provide a full featured, unified communication solution that improves productivity and reduces your business cost structure, all with the reliability and customer service that you expect for such a mission critical investment. 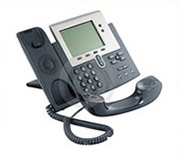 Voice over Internet Protocol (VoIP) telephone systems provide phone service through the internet. They have become the standard solution for today's small and medium-sized business by replacing expensive traditional telephone systems that historically required a large capital investment and had high ongoing maintenance contracts. Selecting the right VOIP office telephone system is important, but so is selecting the right partner. All small and medium sized businesses are running lean in these challenging economic times, and do not have the internal resources to optimize and maintain their technology infrastructure - including their VOIP phone system. It is important to partner with a VOIP service provider that offers world-class customer service, limitless VOIP phone scalability as you grow, and a commitment to responsive and "first time right" customer service for your VoIP business phone system and hosted PBX. The system flexes with your business, enabling you to adjust your VoIP infrastructure to meet your needs. Black Cloud Networks, located in Stockton, not only provides VOIP and hosted PBX business telephone systems, but complete unified communications systems to provide your small and medium sized business the technology infrastructure it needs to thrive in a difficult economy that requires efficient ongoing communication with remote employees and business partners. FlexTalk is a Black Cloud Network PBX solution that makes it easy to manage your small business VoIP phone system while saving up to 85 percent over traditional phone systems. FlexTalk includes dozens of features such as web-based control panels for individual users and system administrators, auto attendant with multiple prompts, and automatic call distribution with full reporting. Security cameras are more popular than ever. Internet protocol (IP) technology allows Black Cloud Networks to tailor your video camera system to your business. Packaging video surveillance with our other internet-based products is also cost-effective. A mobile and expanding workforce requires a flexible network platform. Our consultants can design a network that will grow with your business for years to come. Eliminate multiple leased long distance telecommunication lines. BlackCloud Networks SIO trunking connects you to our hosted network, offering high-speed connectivity and outstanding audio and video quality.